The publication of a new information architecture book, accessible media player resources and demos, an application to visualize your site on different viewports, and a free online design course are a few of the resources you’ll find in this week’s web design and development roundup. If you’re new to my blog, I publish a weekly post with resources I’ve discovered for user experience, accessibility, WordPress, CSS, HTML, and responsive design. You can stay-up-to-date daily with resources like these by following me @redcrew on Twitter. This week’s photo is a screenshot of the Detroit Symphony Orchestra live webcast of the premiere of Tobias Broström’s Concerto for Trumpet, with Håkan Hardenberger as soloist with guest conductor James Gaffigan. Focus groups and surveys aren’t the only ways to learn about your customer needs, says David Travis with his 60 Ways to Understand User Needs article. How about a card sort or site visit? Congrats to Abby Covert who published her How to Make Sense of any Mess book this week. If you’re into information architecture and systems, this is the book for you. Abby wrote it because she felt web navigation wasn’t the only thing that needed better information architecture. I decided to write a book about information architecture for everybody. O’Reilly Media combed through eight of their published and forthcoming UX books to bring you a free ebook, Experience Design: A Curated Collection of Chapters from the O’Reilly Design Library. Smartphones, eyeglasses, headphones, they’re all assistive technology. But many people, including product designers, put assistive technology in a separate category. Product designers need to embrace accessibility and create inclusive designs for all. Henny Swan was asked by many people for resources, so she created a list of accessible media player resources and demos. Which one is your favorite? 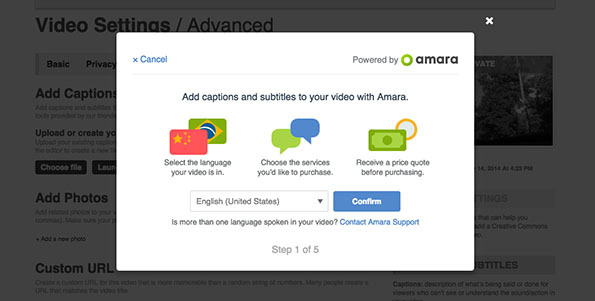 Good news this week from Vimeo who improved their captioning and translations tools with a new partnership with Amara, the online site that makes it easy to caption and translate video. For the first time in her voting life, Joy Relton was able to vote independently this week. Making voting accessible for all has found its way to the polling place. Have 60 seconds to learn how to make your website more accessible? David Kennedy shares five tips to help you check your web page structure, keyboard support, ALT (alternative) text attributes, and form element labels. The big news in the WordPress community this week was Automattic’s acquisition of UK’s Code for the People, which allows Automattic to expand their WordPress VIP Enterprise Business. When Ernest Marcinko discovered some web hosts restricted related posts plugins (possibly due to excessive database usage), he decided to measure the performance of six free related posts plugins. Nile Flores talks about the All About WordPress Facebook group where beginners, power users and other WordPress users can get and give free WordPress help. In the first post of her theme framework series, Rachel McCollin explains how theme frameworks actually work, and how they differ from a parent theme. Get some WordPress knowledge this Saturday when WordCamp Ventura offers a free livestream of their WordCamp. In this week’s Responsive Web Design Podcast, Starbucks’ Lincoln Mongillo talks about their team’s focus on responsive design, style guides, and mobile first approach. Want to see how your site looks on popular viewport sizes? Use Phil Hawksworth’s web views online application for a beautiful visualization. Rather than writing one style to overwrite a previous style to get your preferred styling, Shay Howe shows how to use the negation pseudo-class to scope your styles. Brilliant. I can finally stop using .last class for my list elements. At this week’s Beyond Tellerand conference in Berlin, Zoe Gillenwater shared her experiences for CSS lessons learned the hard way. One of my takeaways: don’t use CSS shorthand unless you really understand all the pieces. Links go somewhere. Buttons do something. These are not the same thing. In his latest post, Joe Dolson talks about the headings hierarchy challenge, with a discussion of multiple H1 elements, ARIA landmark roles and HTML5 document outline. His recommendation: use headings and strive to maintain an internal consistent hierarchy. Canva has published a free 30-class Design Essentials online course to learn about tools and techniques for creating designs. You’ll learn how to use color, fonts, shapes, and more in your designs. With this week’s Office Everywhere announcement from Microsoft, you can now use Office apps on iPad and iPhone with no paid subscription. The app for Android is expected in early 2015. I was excited to hear about Coloors, an online application that allows you to quickly create a color palette in seconds.